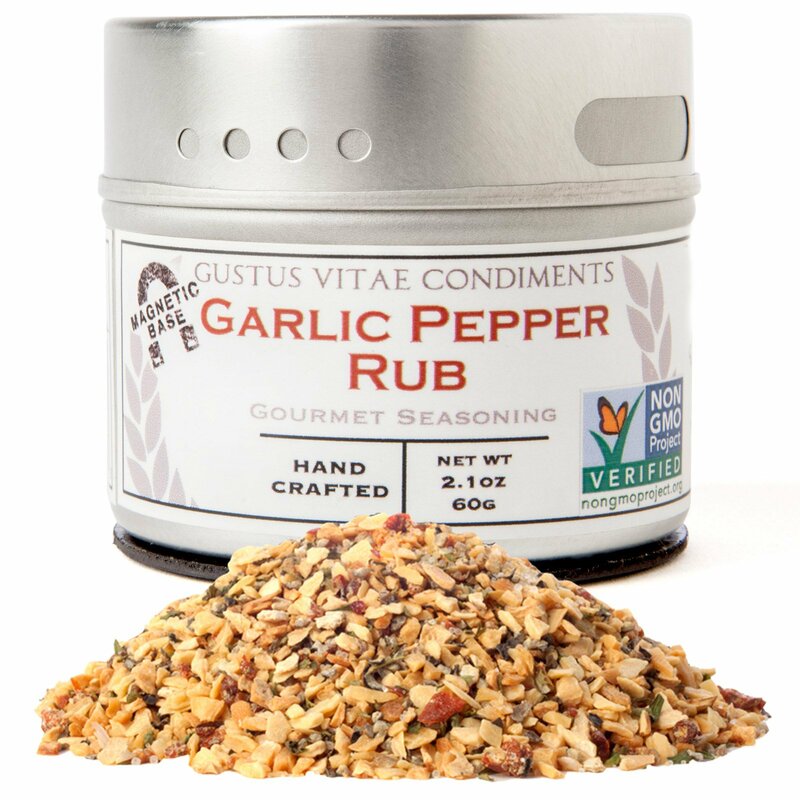 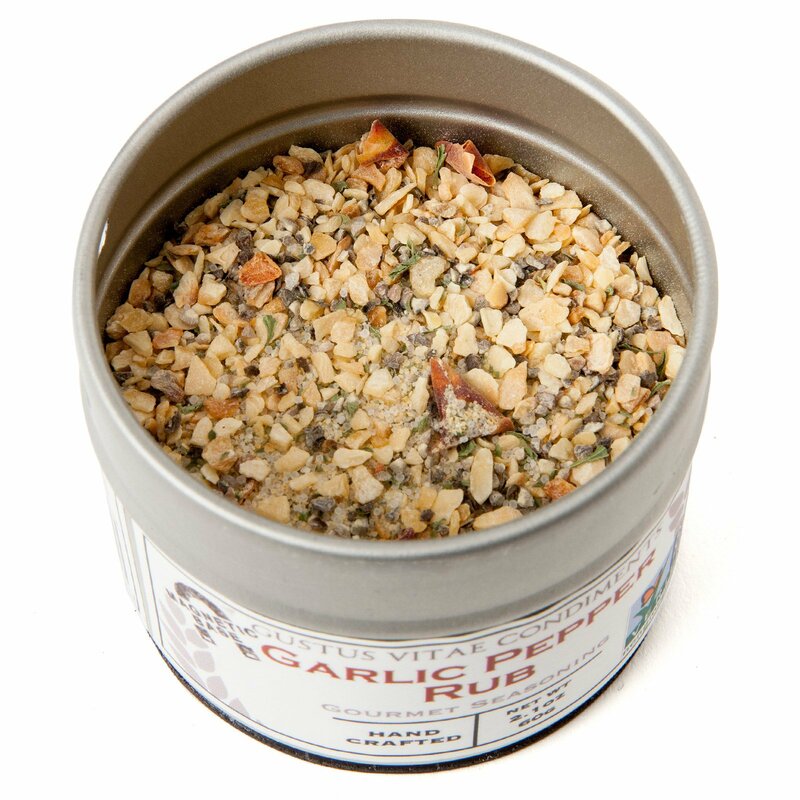 A lively blend of bold, zesty flavors, our authentic Garlic Pepper Rub adds full-bodied flavor to whatever is on the menu. Toss with salads, pasta, rice, and vegetables, or rub on meats, shellfish, poultry, and seafood prior to grilling for a spirited piquant taste. 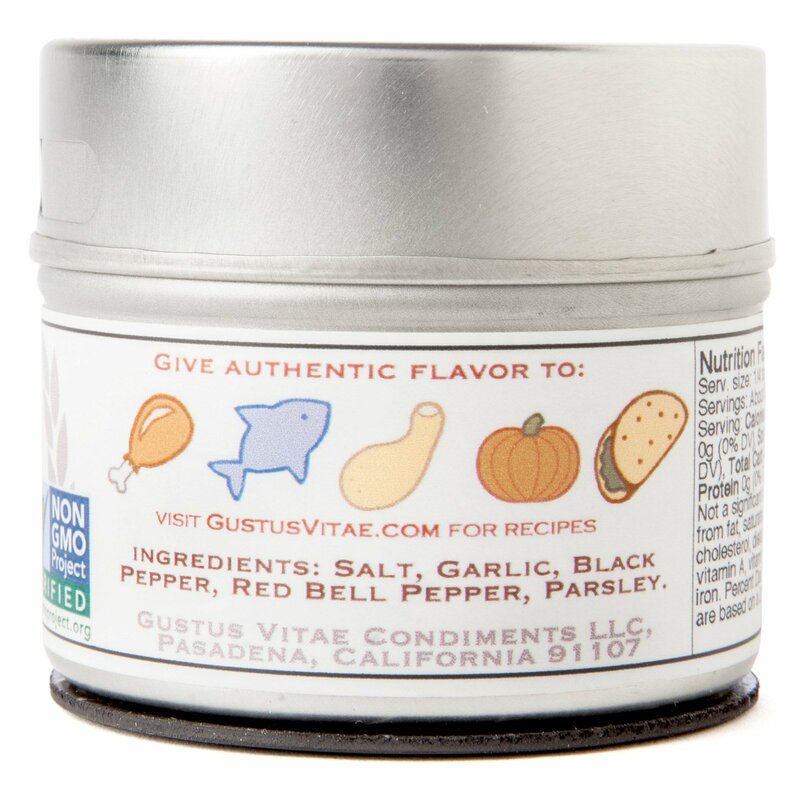 Our Garlic Pepper Rub is also wonderful as a marinade: mix a generous helping into a cup of soy sauce and allow food to marinate for three to four hours.